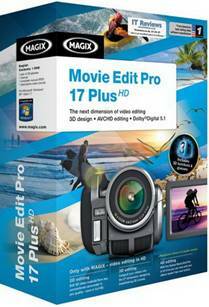 Magix Movie Edit Pro 17 Plus HD, apart from going for the longest name for a piece of software, boasts 2D, 3D and 4D editing. Apart from the latter not being true, the 3D support can cope with anaglyph 3D with a pair of red/cyan glasses included in the box, interlaced polarised 3D and shutter glasses playback. The software can import from a variety of 3D cameras, as well as using two standard cameras mounted beside each other. Bear in mind that both cameras must be the same make and using manual focus or you may have trouble using the footage if the cameras are not close enough to each other. You can use normal 2D footage to get a 3D effect but the video is distorted when you move it in or out of the third plane. There are 26 3D transitions, which gives you plenty to work with, but the normal video effects (and there are over a hundred with the pack included with the software) you could be tempted to use them too often, ruining your final video. Nothing makes a video look amateurish than over use of effects. Films and television don't use them that much, so why should you on your films? Working in regular 2D is easy, with 99 tracks for video, audio, titles and effects although if you used more than a couple of tracks your PC will struggle to preview the results. There are now multiple levels of undo and ripple-editing options, but the ripple edits only really work if you just move a clip. If you lengthen or shorten a clip the other clips stay in position which could leave a gap. Effects Masks define an area to apply an effect using a bitmap, and it can be edited to animate the effect. You have to ungroup it from the video clip in order to do this and the help didn't mention this. The sound options give you a mixer deck, reverb and delay options and some audio clean-up tools. You can remove ambient noise and if the camera you used is listed in the profiles it can automatically remove the noise than camera makes. Declipper, dehisser, and denoiser filters help, along with a 10-band equalizer, a compressor, and a stereo FX tool that can widen the stereo or tweak the balance of the audio track. The sound track maker lets you choose a style and then a mood to compose your own score. You can change the mood along the timeline so it's a useful feature that can add a lot to your film if you don't want to use pre recorded music or anything that could be copyrighted. You can also use the software for batch conversion, with a host of bit rates, file types and videos sizes to choose from. For video recorded from a commercial channel, the Find and Remove Ads does a good job. Full high definition support means that your finished video can be directly uploaded to YouTube or Vimeo in 1080p, or exported to AVCHD discs or Blu-ray. You enter a title, description, keywords and category, choose the resolution, enter your account details and the program takes care of everything for you. Importing your video shouldn't be a problem as it supports many different formats including AVI, DV-AVI, MPEG-1, MPEG-2, MPEG-4, MXV, MJPEG, QuickTime, and WMV (HD). To use MPEG-4, MPEG-2 and Dolby Digital you have to activate those features online, although in the Plus version it is free. Users of the regular version have to pay £3.99. You can fix problems in your footage by adjusting the brightness, contrast and gamma or by using the Colour filter you can remove red-eye effects. The Sharpness filter can sharpen up a slightly out-of-focus shot but no software so far can fix a very blurred image or zoom into part of a frame and sharpen it to a high definition quality, like we see in many television shows or films (like Blade Runner). The image stabilisation filter compensates for camera shakes and iy generally does a good job after a while of tweaking the controls. Title effects are easier to use now that most of the work is done within the preview window. ProDAD Heroglyph Rapid 2.6 is included to give you even more customisable animated text effects, like Star Wars-style scrolling but this is launched in its own window, rather than being integrated into the main interface. The Travel Route Animation tool from previous versions is still included, but if you use it to animate an object along your travel line (like in the Indiana Jones movies) the object won't follow the direction of the line. This may not look right, but if you stick to just using lines to show your route from one point to the next it'll work. The Slideshow Maker allows you to quickly convert a series of photos into a stand-alone movie, adding pans, zooms and rotations to make them more interesting. You can add background music and titles, and you have control over the type, strength and duration of your image transitions and special effects. 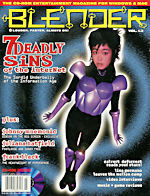 Also included is Reallusion iClone 4 SE, a 3D modelling tool. It's a complex application that requires plenty of time to master and if you are serious about using 3D animation you're better off getting the full version. If you want to burn your movies to DVD, VCD, SVCD, Blu-ray, or AVCHD discs you'll have to download the menu packs and even then they don't have much variety. You can tweak the buttons, fonts, menu layouts and styles and make a menu system that you desire. 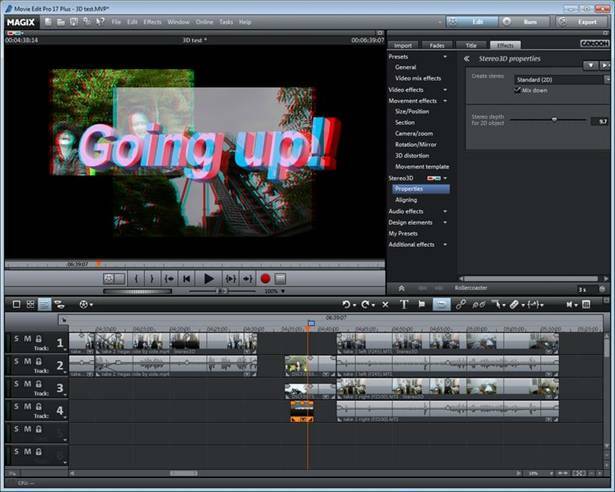 Importing video files, editing them and rendering the final footage are all now much quicker than before, due to some improvement in the programming. Despite this it can be daunting to use and the help and warning dialogs can be frustrating at times. I wouldn't justify upgrading from a previous version, like 15 (which I reviewed before) unless I was a keen cameraman and regularly wanted to create masterpieces from my footage. If you have a 3D camera (and a 3D television/Blu-ray player) then this software can be of real use, but if you have a regular camera (or a digital camera that takes movies, like me) then some of the extras will be of no use to you. Movie Edit Pro 17 costs around £60, whilst the Plus version costs around £80.